The Los Angeles Clippers had a disappointing finish. They were up 3 games to 1 on the Houston Rockets and some thought they were getting ready to make their first conference finals appearance in team history. But all that seemed to crumble right in front of their eyes when the Clippers fell three straight games to the Houston Rockets, including an embarrassing performance in Game 7. At the end of that series, there began to be questions in regards to how they would move forward. Would they blow up the team or would they try to make adjustments. Without having much salary cap to work with, head coach and president of the Clippers Doc Rivers has to make some minor miracles happen to better this roster. So far, he has shipped out power forward Spencer Hawes and starting small forward Matt Barnes for the services of Lance Stephenson. And that apparently is not the only move the Clippers are trying to make. Rivers is reportedly trying to bring Paul Pierce back home to the Los Angeles area to reunite with his former player. But all of these moves mean nothing if they cannot bring back center DeAndre Jordan. The freakishly athletic center is hitting the open market tomorrow with a ton of other free agents. The Clippers want to bring him back, but he also has some other teams that would like to obtain his talents like the New York Knicks and the Dallas Mavericks. Jordan seems to want to be paid a hefty amount of money to sign somewhere, but where is the best fit for his services? DeAndre has been known to be a very good defensive presence over his career. And if a team is needing defense and rebounding, it is definitely the New York Knicks. Their big men could not get the job done on the boards and they did not have any intimidating forces inside to deter shots. With the addition of Jordan, they would have exactly what they need on that end of the floor. Jordan has the unique ability to make up for others on the defensive end because of his athleticism and his explosiveness. That alone would make Carmelo Anthony a better defender and raise the level of New York’s defense. But unfortunately, there are two ends of the court and you cannot sub Jordan out on the other end. For as good as he is defensively, he has yet to show some consistency on the offensive end. He has shown flashes of being able to use post moves, but he has often bricked some easy shots in the paint if they were not dunks. In the Triangle offense, the center needs to be able to either post up and make things happen in there or be able to hit the midrange jump shot. In the case of Jordan, he has not proven he can do either consistently. And despite the talk of New York making him a focus offensively, that would only lead to Jordan becoming something that he isn’t and that could end disastrously for New York. The gesture to be a focus on offense is nice and surely the money would be as well, but the Knicks are not any closer to winning the East by acquiring his services. And the team as it stands does not fit anything he does. Plus, do the Knicks really want DeAndre getting fouled and going to the free throw line? Dallas may not be the home city for Jordan, but it is close enough to home for him. Jordan, who hails from Houston, Texas, would be going to a veteran team that is looking to add pieces to get Dirk Nowitzki that second ring. Last year, the Mavericks brought back center Tyson Chandler via trade and he was so-so for them. He made some good blocks and had some games where he was rocking the rim off alley-oops, but he was not the same guy when it came to the playoffs. Harden and the Rockets ate their lunch money and Chandler showed his age a little. In signing Jordan, the Mavericks would essentially be getting a younger version of Chandler with more explosive ability around the rim. Jordan would definitely be able to cover up for some of the defensive deficiencies of that team, but he would also be a liability offensively for the Mavericks. And with Monta Ellis opting out, the Mavs need more offense on their team. If they do not add someone on the perimeter to give them something, the signing Jordan would not do much for their chances in the West at all. In fact, they may take a step back by adding him and losing Ellis via free agency. And we must also remember Jordan’s struggles at the free throw line. Chandler, although he has not been a stellar free throw shooter over his career, would be considered Steph Curry when shooting free throws compared to DeAndre Jordan. Jordan shoots an anemic 39% from the free throw line. That alone would be something that could scare Dallas, especially with the Hack-A-Shaq rule still in play. The team that Jordan should stay with is the Los Angeles Clippers. They were one win away from the conference finals and they are in the process of making changes to make themselves better. Of course, if he leaves, the changes will be all for naught. But the changes made helped make them deeper on the perimeter and better defensively. Of course this is not the only change that is supposed to happen in Los Angeles though. The Clippers are reportedly looking to move guard Jamal Crawford and they could have found a match in Denver. They are reportedly looking to ship the veteran guard to Denver for the rights to small forward Wilson Chandler. This change would give the Clippers someone that can be good on the defensive end as well as very efficient offensively. With Jordan back in the fold, this team would be even more solid defensively considering the additional piece. And the potential addition of Paul Pierce for the playoffs, the Clippers could gain that grit they needed when they lost to the Rockets. 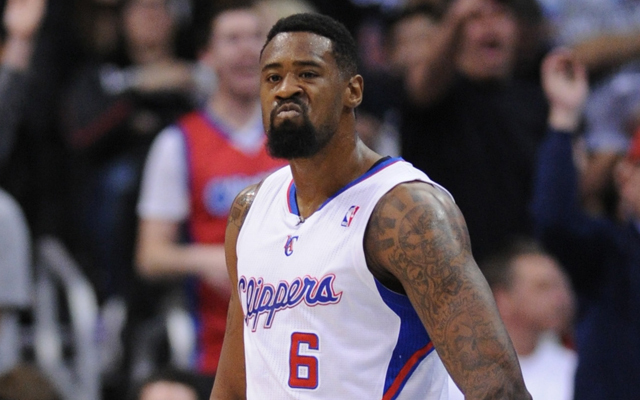 DeAndre could get paid the amount of money he wants while being put in a winning situation. Jordan also wants to be more featured offensively, but he has to ask himself if that is more important than being who he is and trying to win a championship. When he asks himself that, he would probably be inclined to go with the winning and money instead of wanting to be a featured guy. And like mentioned before, he has to get better at free throws to be more featured. Shaquille O’Neal and Wilt Chamberlain were terrible free throw shooters, but they were dominant post players where DeAndre isn’t. He should be happy being the caddy to Blake Griffin and the anchor of their defense. And who knows? It could pay off for him in the end. Jordan has a tough decision to make and he does not have the biggest of windows. The more he waits, the more other teams try to move forward and make some other things happen in the free agency bonanza. He has to make a decision what he wants to be remembered for at this point. It should be interesting to see what he does, but if he is smart, he stays a Clipper. And if he returns to the Clippers, they could be a team to look out for next season in the West if they get the pieces they need via trades and free agency. LeBron James made it official recently when he opted out of his two-year deal he signed with the Cleveland Cavaliers. He now joins teammates Kevin Love and JR Smith on the free agent market. But while some are wondering where Love and Smith will land, there has been not as much talked about when it comes to LeBron James. When the best player in the current NBA hits the open market, there are many teams that take notice. Of course, when he left Cleveland the first time, he made The Decision and that landed him in Miami. But in this instance, there is something different going on. When he left the first time, he was seeking to win a title, something he had never done. In this instance, he is a two-time NBA champion and is the most experienced playoff performer on his team. And his experience is what carried them to the NBA Finals despite losing key parts like Kevin Love and Kyrie Irving. But the totally different dynamic in this instance is that it is a forgone conclusion that he will be staying in Cleveland but just under a new contract. And even though some Cleveland fans and other fans of the NBA are thinking he could bolt Cleveland again, they all must take a look at the landscape of the NBA and then realize the difference between playing basketball and the business of basketball. 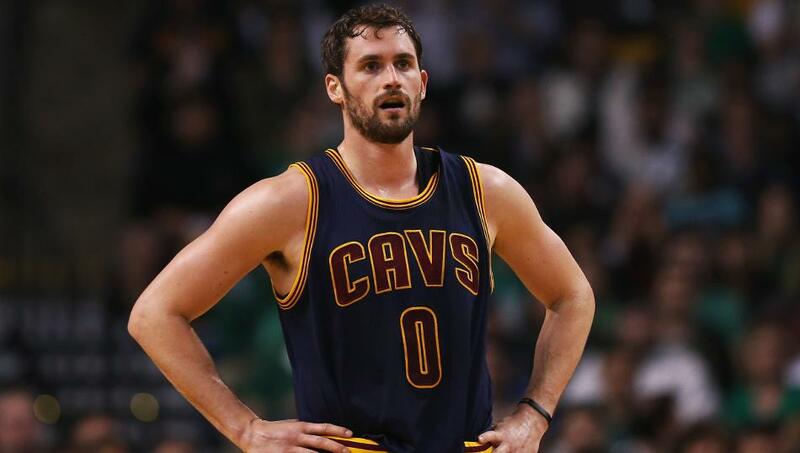 Kevin Love, LeBron James and JR Smith are not the only ones that have opted out of their deals. Many across the NBA have opted out in search of new money. And in most instances, it would mean that they would be heading to new teams. 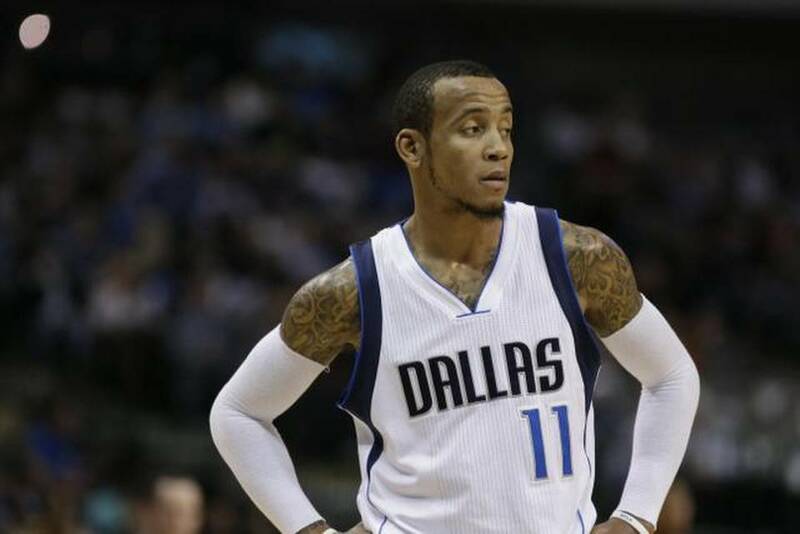 For example, Dallas Mavericks guard Monta Ellis is expected to be on a different team after opting out of his deal. The relationship between Ellis and Dallas was reportedly strained as the season ended and it was evident that he would not be there. Monta is leaving $11 million on the table that he could have had next season in order to hit the open market. And it wasn’t like the Mavericks did not try to keep his services. At one point, they offered him a two-year, $24.8 million extension to stay in Dallas. More than likely Ellis will not get more than what he is being offered, but he is going to take a chance on what the market may hold for him. And Ellis, like many others, are taking this chance on gaining more money and more years from some team out there. It may not seem like a sound decision, but all it takes is one team to buy into what you and your agent are selling. And if that happens, the player wins the game of contract roulette. Ellis, along with guys like Thaddeus Young of the Brooklyn Nets, are banking on themselves and what they can get on the market. They may end up being wrong, but they at least went for what they wanted. And the thing that most fans fail to realize is their window is a short one and they have to make the money they have last over a lifetime. In LeBron’s case, he has taken power over the Cleveland Cavaliers and that is a rare thing. In the NBA, players usually are the slaves to what the owners and the organizations want. And in most instances, the players get the short end of the stick, signing long-term deals that allows teams to throw any and everything out there with them while they are out on the court. When LeBron was first with the Cavaliers, he was playing with any and everyone on the court. The teams were successful during the regular season, but they just could not consistently get to the NBA Finals. He then left for Miami and a better situation for winning. But upon his return, it was evident that LeBron had the power over the organization. When he signed the two-year deal he did that had an opt-out after his first season back, he basically put pressure on the organization at that point. If all went bad, he could leave despite what the natives may have thought of him. But if it went well, he could still opt out to keep the pressure on the organization to make the improvements necessary to be competitive for a title. The opt out this offseason is also something that is the smart decision of a businessman. LeBron knows he is the best player in the NBA and he is also one of the most observant. He knows the cap is due to skyrocket in 2016 due to the huge television deal the NBA signed before last season. So instead of tying up his options like others have, he is patiently waiting until 2016 for his last big payday. At that point and time, he can make betwwen $30-40 million per season depending on the how much the salary cap rises. But until then, he opted out again to make sure and keep the pressure on the team and to also maximize the amount of money he can make. LeBron the businessman has figured out how to keep the organization accountable while making his money. Many top players in the NBA may want to pay attention to the things that LeBron has done in Cleveland. Now there has been criticism due to his handling of his coach during the playoffs, but for the most part he has handled it like a smart businessman who knows he has the power. But there are others out there that are taking the calculated gamble to make more money. You may wonder what some of them are thinking, but who can blame them for making a run at more money that could potentially be out there for them. And even though the one year option some players opt out of may be better than the average per year a player signs for in this scenario, the player would end up with more years to make more guaranteed money. And that could end up being more valuable than the one year of big money. Gone are the days where basketball is just the game we see on the court. There is now a game going on off of it. We shall see this offseason who is playing checkers and who is playing chess. The New York Knicks were coming off of a season where tanking was their mission. The whole thought process behind doing so was to get the highest pick possible along with the money the Knicks would have off the books after dropping some high-priced contracts. Well, the Knicks tanking ended with them having the 4th pick in the NBA Draft along with the cap space. Some wondered who they would get. Would they get Duke big man Jahlil Okafor? Would they decide they need another guard and draft Justise Winslow or Emmanuel Mudiay? Well, the Knicks decided to shock everyone and go with a pick many did not expect them to take. With the 4th pick of the NBA Draft, the Knicks selected Latvian big man Kristaps Porzingis. And immediately after the pick was made, the Knicks crowd started booing. Along with the booing, there was an image of a little boy that was crying. The image was emblazoned in the minds of many that watched the draft and was a symbol of the pain the Knicks have brought to the many that have followed them. The hope of the future of the Knicks while being run by Phil Jackson is not very high right now. And some wonder what will come from the rubble in Madison Square Garden right now. But others are currently wondering what Phil is doing as the man in charge of the team. 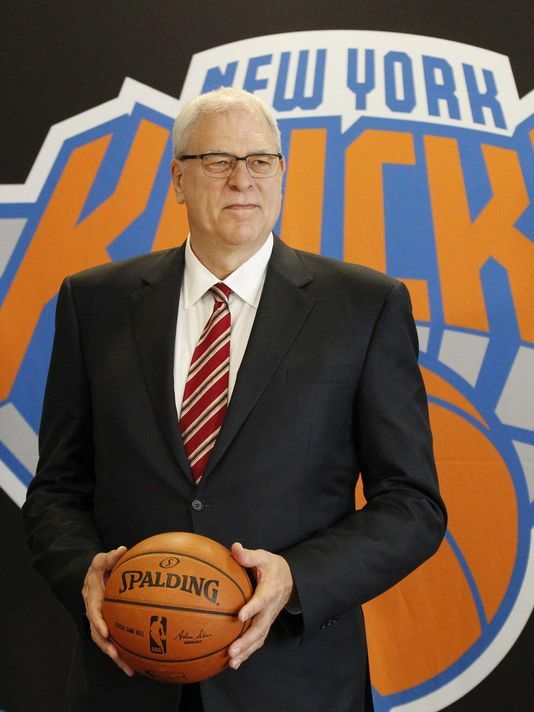 When Phil Jackson was first introduced as the President of the Knicks, plenty thought there was hope on the horizon. Of course, there was a lot that he had to clean up when he arrived. He had a bunch of contracts that were albatrosses, Carmelo Anthony was getting ready to hit free agency and there was a need for better talent. But there was the thought that the Zen Master would be the one to get that going in the right direction. He made plenty of moves, but his first move to get this started was the worse one. Phil made a coaching change this past offseason. Mike Woodson had made it happen for a second as the head coach of the New York Knicks, but he was not going to be the answer for them long-term. Phil Jackson knew that and got rid of him. But his replacement for him was one that had everyone scratching their head. Phil hired one of his former players, Derek Fisher, to be the new head coach of his team. Lots of media and fans of the team were left scratching their heads as to this decision. He was a coach that has never coached in the NBA before and he had just been a player the previous season. But due to the success of Jason Kidd in his first and only year coaching in Brooklyn, there were some that thought Fisher would be ok. But instead of him being ok, he looked like a fish out of water. It looked like he was trying to figure out how to be a coach while on the job. And for a team trying to build something, that was not the thing he needed to be doing. Going into his second season, many still don’t know what to expect from Fisher. He could get better but he could also be worse. And that is not a thing you want to be thinking about when a coach is trying to lead a team back to respectability. But Fisher should not accept all the blame in this situation. Some of the blame should go to Phil Jackson. He hired him knowing he did not have any experience as a coach and set him out there to look like he did on the sidelines at times: befuddled, confused and overwhelmed. This was not the only decision that Phil made that had many scratching their head. He practically gave away a few players for cap relief and players that had no business playing in the NBA. But the main thing that many Knicks fans looked at was the offseason of 2015 where Phil could make his master plan come to life. The 4th pick was supposed to be the start of that plan and the process Phil had. When he drafted Porzingis with the 4th pick in the draft, he let the Knicks fans know loud and clear what his plan was. And even though the trade of Tim Hardaway Jr was viewed as solid because of the point guard he got back in return (rookie point guard Jerian Grant), there was some sense of disappointment. The general consensus on Porzingis is that he will be ready to play potentially in a few years. But for a team with a 31 year old star that is signed to a big deal and in his prime, does he had that type of time? Carmelo was talked to by Phil in the offseason about being a part of something and finishing the process when he signed back to play in New York. Of course the money didn’t hurt, but Carmelo bought in to the thoughts that Phil put to him. If Phil is starting the process, he started it off with a thud and then another one in the draft. Going forward, Phil has to make some things happen in free agency to help the Knicks. There have been rumors of players like Greg Monroe and David West coming to New York, but the Knicks need more than that. The Knicks need bench players as well as starters to help them as well. And with what they currently have, they are lacking what is needed to make a push for the playoffs. Phil was viewed as the savior of Knicks basketball when he first arrived. Fast forward to now and he is being viewed as a man that committed highway robbery. He took the payday from owner James Dolan and is now operating in a way that have some scratching their heads in confusion. We may see more of the plan going forward. But for right now, the vision of the Knicks from the Knicks fans perspective is one of consternation. The Charlotte Hornets are a team that many thought would take the next step last season. They had made the playoffs in the 2013-2014 season and wanted to build upon it the next season. That offseason, they thought they added the missing piece in their equation when they brought in guard Lance Stephenson on a two year deal worth $9 million per year. The team also included an option to pick up Stephenson’s deal after the 2015-2016 season. Well, the deal for the missing piece in Charlotte ended up being a disaster. Lance was not the player they thought he was. He seemed like more of a round peg fitting in a square peg. And the scoring they thought he would bring was not there. In fact, Stephenson did not even average 10 points per game last season. So, going into this offseason, the Hornets were determined to change course. General manager Rich Cho started that one off with trading Stephenson to the Los Angeles Clippers. And in return, the Hornets received forward Spencer Hawes, who never seemed to fit in Los Angeles, and forward Matt Barnes. But if you take a look at the overall picture, this move was just the beginning of a master plan in Charlotte. 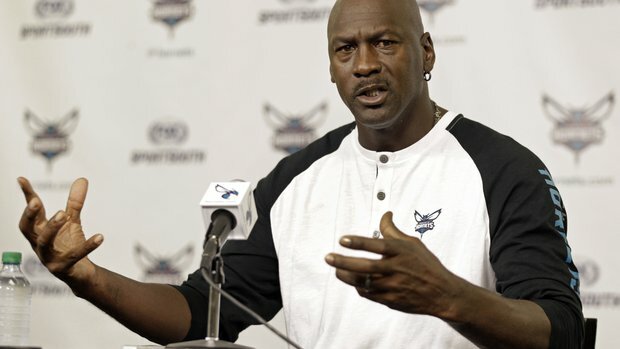 Michael Jordan has been the owner of the Hornets for a few years now. He inherited the team under the Bobcats nickname, but he them changed that to the Hornets once the New Orleans franchise abandoned it for their new nickname, the Pelicans. That first step helped bring back some credibility to the franchise along with them making the playoffs last season. And although he had a misstep this past season with the Lance Stephenson experience, the plan is still in place for the Hornets. The franchise has been rebranded to what it once was and that brought back the love of the community for the team to an extent. Jordan’s next step of the plan was to bring back some winning to the team as well. Even though they lost in a sweep to the Miami Heat in the playoffs in the 2014 playoffs, they made the playoffs and was expected to make a progression. They failed to do so in the 2014-2015 season, but the plan is in motion for 2016-2017 already. As mentioned, Stephenson is gone but he was not the only move made. The Hornets have also shipped out guard Gerald Henderson Jr. as well as last year’s draft pick, forward Noah Vonleh, in order to acquire forward Nicolas Batum. In doing this trade, the Hornets bring in a guy that can be a lockdown defender on one end and can do some things offensively that can help them spread the floor for point guard Kemba Walker to penetrate as well as give Al Jefferson a shooter teams have to worry about. Henderson was a solid offensive weapon for Charlotte, but they were never going to take the next step in their progression with him. And Batum actually does not need the basketball to be effective in a game like Henderson does. With Vonleh gone, the Charlotte Bobcats are admitting the mistake they made drafting him. Vonleh never really contributed and we still don’t know what all he can or cannot be. With Hawes now in place in Charlotte, he can do the things that Vonleh was supposed to do right now. And in Portland, Vonleh gets a fresh start and will get a chance for playing time should LaMarcus Aldridge leave this offseason as expected. This trade actually made sense for the Hornets and helps them be a more competitive team as well as a longer team defensively. The only bad thing that can come out of this one is the fact that one of their previous rookie 1st rounders, Michael Kidd-Gilchrist, will be moved to the bench. But that move will actually help strengthen the Hornets and their bench actually. The other move that was made already by the Hornets this offseason was pretty quietly done. The team traded Luke Ridnour, whom they acquired in a trade for Matt Barnes, to the Oklahoma City Thunder for the services of shooting guard Jeremy Lamb. Lamb has been a player that has shown moments in his career, but unfortunately has not shown up consistently on the court and in the scoring column. With his addition, it means he is in a sink-or-swim year with Charlotte. When Lamb first entered the league, many thought his sweet stroke was something that would pay dividends for whoever drafted him. He was picked by the Houston Rockets and then used as a pawn in the trade that brought Houston James Harden from the Oklahoma City Thunder. The expectation was that he would end up eventually being the guard starting opposite of Russell Westbrook once he got to Oklahoma City. Well, he has not exactly fulfilled those expectations. Lame has not had consistent playing time since he has been there and it has been inexplicable at best. He shoots the ball well and can make defenses pay when they crowd him, but somehow he did something that kept him buried on the bench for the Thunder. In coming to Charlotte, Lamb now gets reunited with his former college teammate, Kemba Walker. Both of these men played well beside each other when they won a national title together at the University of Connecticut. And maybe in reuniting these two together, there will be some chemistry started and Lamb will help space the floor for Walker and Jefferson. With the sweet stroke that he has, it’s going to be interesting to see how he is used by the Hornets in their offense. As far as Ridnour, he has been traded more times in 24 hours than probably any player in NBA history. And it is ironic that he has come back to the franchise that he began his career with when they were in Seattle previously. The end is near for him in his NBA career and many have recognized that. He made a good run, but the time is slipping on his career like the sands from the hourglass. And the last little bit of grains are sliding down as we speak. The Hornets have all these new pieces in place along with the addition of Wisconsin big man Frank Kaminsky via the 2015 NBA Draft. Now some may be ripping into Jordan for the reported trade he turned down from the Boston Celtics that included numerous draft picks, but there is a method behind some of the madness, or at least Jordan thinks there is. Besides the contract of Spencer Hawes, the contracts that the Hornets inherited with Lamb and Batum expire at the end of next season. And with the cap about to be at an astronomical number in 2016, the Hornets will be sitting with only Kemba Walker, PJ Hairston, Hawes, Frank Kaminsky and Cody Zeller on the roster should all still be on the Hornets team past the trade deadline. Three of those contracts are still rookie deals and only Kemba’s contract is one that takes up a good percentage of the salary cap in Charlotte. With the All-Star game coming to Charlotte in 2017, they need someone that will be a representative for them there. And in the summer of 2016, they will have the cap space to go get that guy. Al Jefferson will probably be someone they bring back provided he wants to be there after the 2015-2016 season and Michael Kidd-Gilchrist will probably get an extension with the team, but the Hornets will need someone that brings star power to the team. And there is one man that is out there that can b4ing that to them. No, LeBron James is not coming to Charlotte in 2016. He will more than likely be making over $30 million per season when his deal happens in the summer of 2016. But there is a guy out there that can bring star power to the team and his name is Kevin Durant. 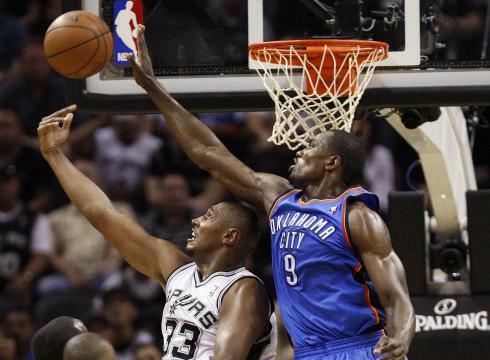 The scoring machine from Oklahoma City is up for a new contract and it seems as if he is preparing to leave the city. Charlotte is not the place many have him pegged to go to. Many see him returning home to Washington. With Wall, Beal and Durant, the Wizards would have one of the best trios in basketball if not the best. But the Hornets may have more money to offer him and also may be able to bring in another piece with him should they decide to jettison Jefferson instead of re-signing him. This year, if the Hornets make the playoffs, the arrow will be trending up just like it was for Miami the year before they signed LeBron James and Chris Bosh. And just like Miami, the Hornets could make a power play that could make them an instant contender. There are no guarantees that Durant will look at Charlotte in the summer of 2016. But then again, there were not many thoughts of LeBron going to Miami when he was a free agent until maybe a week before his announcement. The impossible has happened before and for the Charlotte Hornets, they are hoping it happens again. And it will all culminate with the summer of 2016. When the Sacramento Kings hired George Karl, the prevailing thought is that they would get better with him. The veteran head coach had one of the most talented big men in basketball in DeMarcus Cousins and a roster that had some young players that could fit his style. It was not going to be an easy transition with Karl, as many saw and assumed when he took over. But given time, it was thought that Karl could take this roster and with a few changes make them competitive in the West. They started off slow under his tutelage, going 11-19 in 30 games after the All-Star break. But heading into this offseason it was expected that he would be building this team up so they could be even better this offseason. Unfortunately, news has come out that he is trying to break this team down. Recently, it was reported that the Kings were shopping their best player, center DeMarcus Cousins. And many reports have the brainchild of this move to get rid of Cousins being Karl. Crazy as it sounds, he has been going around trying to recruit different members of the Kings front office to unite with him to ship the young and talented center elsewhere. The most recent rumor has the Kings trading Cousins to the Los Angeles Lakers in a three-way deal that also involves the Orlando Magic. Even though details are sketchy at this time, it is believed that Magic center Nikola Vucevic may be the big guy coming back to Sacramento to replace Cousins while Orlando would obtain the 2nd overall pick. This deal would be something that would bolster the Lakers while giving the Kings a center that is talented but not on par with the talented Cousins. Karl would be ecstatic to get rid of Cousins and Cousins is apparently done with Karl due to him not being able to trust him. Reportedly Cousins has had teammates tell him of Karl’s desire to get rid of him. Karl is a great coach, but underneath that, he is exposing another side of himself. Karl has always been known as a coach with a solid reputation amongst players to those that have observed him around the league. But apparently, there is more than meets the eye with him. There have been a few players that he has had run-ins with that were not directly spoken upon apparently. In case you have not noticed, Karl has been painted as a snake in the grass by a few players over his coaching career. Players for him or recently traded by him to another team have said they needed to cut their grass during their careers. For those that don’t know, when someone says they need to cut their grass, it does not necessarily mean they need to do that literally. It means that they want to expose the snakes that are out there and they need to move a few things out of their way to make them visible. While players like Andre Iguodala and Carmelo Anthony have come out and said his name, they have alluded to Karl by if you put two and two together. And DeMarcus Cousins is the latest to join in with that phrase. If anyone knows Cousins, he is big on trust. He trusted his coach at the beginning of the 2014-2015 season, Mike Malone. Cousins was playing good and was also being more disciplined on the court. But when Malone was fired, the unraveling began. It was almost as if the Kings ownership sabotaged themselves. And in doing so, they ruined any chance of success that team had last season. The funny thing is Malone got fired when Cousins was injured. It would have been understandable if they were doing horrible with Cousins on the floor, but that was not the case. Cousins lost control as the season went on and reverted back to his old behavior. And with that, Karl is now back to his snaky ways going behind Cousin’s back trying to get the Kings to trade him. But trading Cousins will not be as easy as Karl may think. In the Kings front office, they want to build around Cousins. They see the enormous talent and potential that he possesses and feel that a team with the right pieces around him can bring success to the Kings. The main person that has been steadfast in wanting to keep Cousins is Sacramento Vice President of Basketball Operations Vlade Divac. The veteran who once played for the Kings has stepped into the organization and is essentially one of the loudest voices heard in the organization. Many times he has been asked about the availability of Demarcus Cousins and he has repeatedly said that Cousins is going nowhere. 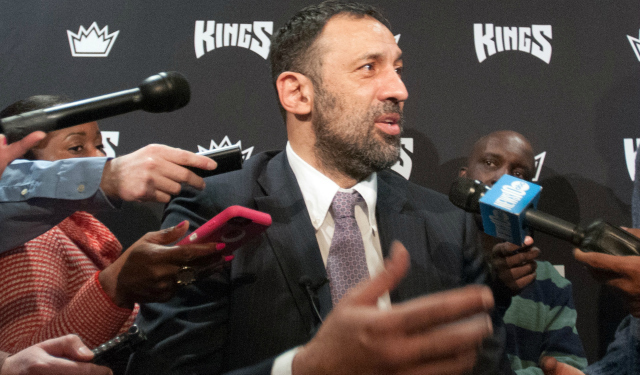 Divac is bent on keeping him in Sacramento no matter what they may be getting offered. But the thing that has to be bothersome is his head coach wanting to trade his best player. Karl has probably been in Divac’s ear since the end of the season if not sooner. And over this time, it seems as if Divac’s answer has not changed one bit. The question remains with Divac and Karl as to how their relationship goes in conjunction with Cousins. Both Divac and Karl have been around the NBA a long time. But Divac does have one thing over Karl: he was a player in the NBA. And in this instance, it pays off because he can call on former players that he played with or against and ask him about the reputation of Karl and what all is going on. Some of those calls could be to guys like Gary Payton, Ray Allen and Sam Cassell. Many forget that Divac was not really around when Karl was hired. In fact, he was hired to his position almost one month after Karl was hired by the team. Essentially, they were guys that had not worked together and the owner paired them in Sacramento despite not knowing how they would get along. And in this instance, the owner helped create some friction amongst the organization. Divac and Karl’s relationship will probably be revealed even more as this goes on. But from the outside looking in, it looks like both management and ownership are on different pages. And for a team building, that isn’t a good thing. The temperature is starting to rise in Sacramento between Divac and Karl. They brought Karl in to be the coach and Divac to be a main player in the front office and both share different thoughts on a team apparently. In the end, Divac has been put in a tough position not even three months into his job. He has to choose between his best player in Cousins and his recently-hired coach that he inherited when he took the job. Essentially this is a three-ring circus that is close to spinning out of control. And the onus goes to the owner who helped create it. It remains to be seen who will win this power play, but it seems like Karl is fighting an uphill battle. Management wants Cousins there and Cousins does not trust Karl anymore after this fiasco. One will have to go and will have to leave soon. But will the Kings get a deal they cannot refuse or will they side with Cousins. That will be the question that will have to be answered very soon because this is getting out of hand in Sacramento. Goran Dragic was not happy in Phoenix last season. 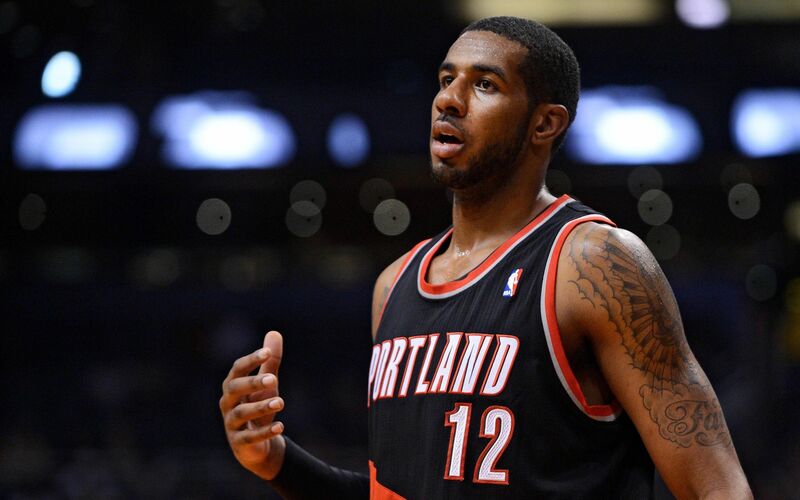 He was heading into a free agent year and could not come to an agreement on a new deal with the Suns. Couple that with his unhappiness with how things were going on the court with the team and it was inevitable that he and the Suns were headed for a divorce. It wall came to a head in February of last season when Dragic and his representation essentially informed the Suns that he had no plans to re-sign in Phoenix after the season. It was almost immediately after this statement was released that the Suns unloaded Dragic. The Suns shipped him to the Miami Heat via trade along with his brother Zoran Dragic. The Suns, who had an abundance of point guards, could afford to get rid of Dragic because they had just signed guard Eric Bledsoe to a big deal before the season and he was more than able to play the point guard position exclusively. But for Dragic, the trade showed him that the Heat were seriously wanting his services and that he could potentially get an offer from them in this upcoming offseason. Dragic, who is seeking a max contract, is expected to be wooed by a few teams that have some deep pockets this offseason. In what could be a bidding war, the Heat took the first shot at the veteran guard. Miami reportedly is offering him a five-year deal worth over $80 million. Dragic reportedly is seeking the max amount he can get and that could potentially not be enough for Miami. If his agent is smart, he will take this offer and use this as the minimum amount Dragic makes. But if you are Miami and Dragic does accept this offer, is this really a sound investment? Goran Dragic has been in the NBA for some time now. He started his career in Phoenix as the backup to star point guard Steve Nash. And over time, Dragic has received more playing time and grown as a player. However, his biggest jump was when he came back to Phoenix for the second time and played under head coach Jeff Hornacek in the 2013-2014 season. Under the fast-paced style he implemented, Dragic was on fire and playing the best basketball of his career, averaging 20 points and six assists a game. He may not have been happy with a few things in Phoenix when he left, but one thing he missed was the fast-paced style he played in. When he got to Miami, the pace was slower and that was not conducive to how he liked to play. 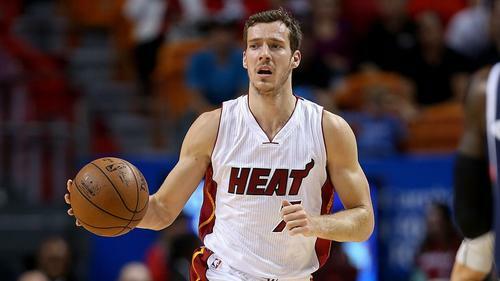 Well, the Heat have made some assurances to Dragic that they would speed up the tempo should he return. The style of play may fit Dragic well, but there is some issues with running that style of offense all the time. Power forward Chris Bosh and center Hassan Whiteside should be fine in adjusting to the changeup. But there will be two players that may have a tougher time adjusting to the new style should they stay in Miami. Both Luol Deng and Dwyane Wade have player options for next season in Miami. And although Wade has indicated he is going to opt out of his deal, Deng has been non-committal so far. Hypothetically, let’s say these two come back to Miami next year. These two are not the spring chickens they used to be. And increasing the tempo for them would mean a lot of wear and tear on their bodies. With Wade, that would be an issue due to his injury history. At a fast-paced tempo at this stage of his career, he probably would be lucky to finish 50-60 games. As far as Deng, he has had some issues the last couple of seasons with injuries also and has missed some games. The Heat would end up having to dig into their bench, which as it stands, will not be as solid yet again. Miami could be exposing their team to something that they are not prepared for as a whole. Another issue with Dragic signing in Miami long-term is the competition he could be facing. Dragic is a good guard and has had some great moments in his career. But let’s take a look at the point guards he would be facing in the East: Derrick Rose of the Chicago Bulls (when healthy), Kyrie Irving of the Cleveland Cavaliers (when healthy), Jeff Teague of the Hawks, Kemba Walker of the Charlotte Hornets and that is not even including the young point guards that are coming up in the East. Dragic is solid, but he may be in for some trouble defensively when he sees any of these guys out there taking him on. Dragic is crafty and makes some athletic plays, but he would have some problems trying to keep up with the athleticism of some of the points guards listed in the East. And essentially, he would give up all that he scored. The best thing for him when he was in Phoenix was he had a young guard in Eric Bledsoe to take some of the defensive pressure off of him. In Miami, he may potentially have Dwyane Wade or some other guard that may not be as tough defensively as Bledsoe can be. And with having to extend himself more defensively, that may began to wear down Dragic and reduce his numbers. And with his numbers not the same as they once were, he would not be impacting the team as much as they need him to. Signing Dragic would be something that would make some Heat fans happy, but it would not make as much as a difference as the signing would suggest. The Heat want to save face in the trade they made to bring in Dragic and by signing him, they will do so across the league. But they also will be signing a player that is asking them to change to something they may not be fit for going into the 2015-2016 season. And that could ultimately hurt their team. Paul Pierce has had an excellent career in the NBA. He has played for the Celtics and won a title along with playing for the Brooklyn Nets and the Washington Wizards. Going into this offseason, there was a question as to whether he would come back or not. He was clutch for the Wizards in the playoffs, hitting big basket after big basket for them. But he also was an older player in the NBA (37 years of age). As a result of his age, the Wizards seemingly paced him all year long to keep him fresh for the playoffs. He played a career-low 26 minutes a game and scored his lowest point total of his career. But the good thing about him playing for the Wizards is they did not need him to put up 18-20 points per game. The show belonged to guards John Wall and Bradley Beal as they were the main focus on the team. All Pierce was brought in to do was bring leadership and hit big shots. He definitely made an impact there, but the team did not succeed as much as they expected. The Wizards lost to the Hawks in the Eastern Conference Semifinals and went home earlier than they envisioned. And with that loss, Pierce was not sure he wanted to come back. There were stories out that Pierce had thought about hanging up the sneakers instead of taking his player option to return to Washington in the 2015-2016 season. But those rumors were quickly put to bed as it has been confirmed that Pierce will be playing next season. That announcement was good news for a team, but that team may not be the Wizards. It is said that he could come back to Washington. But there is also a chance that Piece could be heading to the West. The Los Angeles Clippers have had a void at small forward for a while now. Last season, Doc Rivers used veteran journeyman Matt Barnes as his starting small forward. And even though Barnes was a tough defender and had a solid season scoring (10.1 points per game), he was nowhere to be found in the playoffs and capped that disappearing act off with an underwhelming performance against the Houston Rockets where he disappeared in the biggest game, Game 7. It was obvious to anyone that watched the Clippers play that Barnes was not the answer for them at small forward and they needed to upgrade that position this offseason. When the Clippers traded him to the Charlotte Hornets in a package deal for the services of Lance Stephenson, it was apparent the team wanted to make some changes at the small forward position. Paul Pierce has had his most success in the NBA under coach Doc Rivers and currently Doc is the head coach and team president of the Clippers organization. There have been rumors out there for a while that Pierce would love to play for Doc again and this seems like the perfect opportunity. If he is able to come to terms with the Clippers on a cap-friendly deal, he would definitely be a huge upgrade over the now-departed Barnes. The veteran small forward has been known for his veteran leadership for some time now. And that leadership could be something that could help the Clippers even though Chris Paul is a veteran in his own right. Another thing he could bring to Los Angeles is his clutch shooting. Pierce has hit many clutch shots over his lifetime and we all know he isn’t shying away from any shot that could help the team win. The biggest thing that Pierce could bring to this team is his championship experience. Pierce won his lone NBA championship under the leadership of Doc Rivers in Boston. And if you look at the Clippers roster as it stands, Pierce has gone the furthest in the playoffs. The championship experience he brings as a player would prove invaluable in getting the Clippers over the hump. The Clippers option looks excellent for Pierce, especially since he would be coming back to an area in which he grew up. But playing for the Clippers and Doc Rivers aren’t the only option out there. Paul Pierce still has an option that has to be decided upon pretty soon. In that option, Pierce would be receiving $5.5 million if he were to pick up the option with the Wizards. It has been rumored that he has declined the option with the Wizards next season, but that has yet to be confirmed. Even with him potentially declining the money, it could still be possible for him to come back there. He has a good opportunity to win if he comes back to Washington. Some can argue that if John Wall does not injure his wrist, the Wizards would have beat the Hawks in the Eastern Conference semifinals. If he were to stay with the Wizards, the team would probably continue to play him less minutes while building on their progress from the 2014-2015 campaign. That would allow for him to be fresh during the playoffs and would also allow the Wizards to continue the development of young swingman Otto Porter, Jr. But along with him playing the same minutes, the team would have great continuity heading into next season. Pierce seemed to have a positive effect on Wall and Beal. Both would continue to grow under the leadership of Pierce. Eventually, the Wizards hope his leadership will be something that allows Wall and Beal to make consistent big plays down the stretch of big games without having to depend on Pierce to bail the team out. It would also give them a consistent shooter from the three-point range that could be counted on when they need him. That is essential when you have a playmaker with the ability of Wall and Beal. In fact, playing with Wall and Beal provides Pierce wide-open shots should they penetrate ore often. But the biggest thing, like what he would bring the Clippers, is championship experience. When some team has never won anything, it can be really tough for the opponent to handle the pressures that come from winning. And Pierce would help them check those emotions while focusing on the task at hand. Besides LeBron James’ Cavaliers, the Wizards have just as much hope as anyone next season to win the East. And quite frankly, the East would be an easier path for Pierce to go back to the NBA Finals. Over the next few weeks, Pierce has to make some decisions. 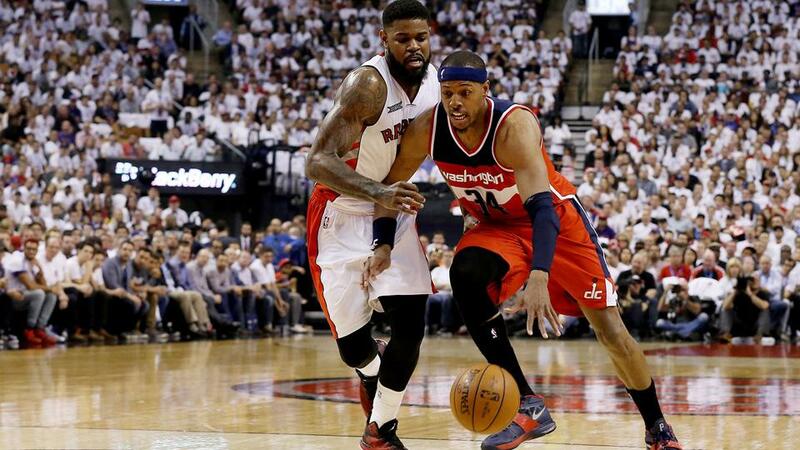 Does he leave for the Los Angeles Clippers or stay with the Wizards for his remaining time? It all depends on what Pierce wants to do. But in the meantime, it is down to the Wizards or the Clippers in this one. If he stays where he is, he could help the Wizards go to the next level. But if he goes home, the road to success could be more difficult. The Golden State Warriors and the Cleveland Cavaliers met for a great clash in the NBA Finals. The best team in the NBA versus the best player in the NBA. In the end, the best team wore down the team with the best player and won the title in six games. Both teams played each other pretty tough for the first few games, but the last three games were lopsided in the favor of the Golden State Warriors. They just wore down the Cavs, who were playing short-handed due to the losses of All-Stars Kevin Love and Kyrie Irving. And even though LeBron James had a great series from a numbers standpoint, he could not guard all the weapons the Warriors had nor could he score efficiently on most of them. The Warriors erased 40 years of futility with the win. And the even more interesting thing is a guy that was a starter-turned-sub for the Warriors in Andre Iguodala played well off the bench and starting in games 4-6 to earn NBA Finals MVP. But the game was just the background to all that has been going on in the NBA the past few years. And amazingly, no one wants to say much about it. The Golden State versus Cleveland series had the best viewership on television since the days of Michael Jordan when he won his sixth championship almost 20 years ago. Pretty unbelievable that the ratings have not been as good since then being that we have had teams like the Lakers win the championship five times since then. But what this also speaks to is the power of the players here. If you just look at the markets both NBA Finals participants are in, there is a stark differnce. The Oakland/San Francisco market is considered one of the biggest markets out there in the NBA. But when you take a look at Cleveland, that market is one that is not very big at all. In fact, it is smaller than the Miami, where LeBron James left to go to when he exited Cleveland for four years. The idea has always been that in basketball, the big teams are the ones that will continue to show up and be in the championship year after year after year. When, in fact, that is not the case at all. Sure, Oakland/San Francisco is a big market, but San Antonio is not a big market and neither is Cleveland. The fact of the matter is big markets are needed in terms of exposure perhaps, but are not something that is needed to make the NBA exciting and watchable. In the NBA, it is more about the teams that are on the floor than the markets they are in. As the NBA has grown, the market teams and players are in has matter less and less. Just a few years ago, it was something that small-level owners were worried about as if they could not build a good team in fear of losing a great player to a big market. When in all actuality, that was the supposed small-level owners giving the fans of that team something to let them off the hook. Time and time again the small-level owners have been crying they have been losing money in regards to trying to keep up with the bigger cities. And in all instances, the numbers have not ever been shown to prove that. But in basketball terms, there have been small-market teams that have competed. Look at the teams like the San Antonio Spurs, Oklahoma City Thunder, Cleveland Cavaliers and others. They are there all the time because their owners actually spent money and put together a team that could make some things happen, not because they were big spenders in a big market. As the NBA has grown, the excuse gets more and more overdone by the minute. The fallacy of small-market teams not being able to compete only comes about when it comes to the Collective Bargaining Agreement. And in all reality, that is just a ploy for the owners to make more money while keeping the players and fans at bay. How else can it be explained that the Milwaukee Bucks being sold for $550 million despite being in one of the smallest NBA markets? That’s right folks. We have been blinded by some propaganda and a lot of us have fell victim to it without even knowing it. When a team is bad or has to make a tough decision, if it’s a small market team, they get the benefit of the doubt because of that. A perfect example of that is when James Harden was traded to the Houston Rockets because the team could not pay him what he wanted. Of course they could have paid him and it would have potentially locked up their cap space. But the main thing that many were saying was that a small market team could not afford paying him. And that is when the propaganda begins. The sympathy for a smaller market begins to roll in and owners began to trick you into thinking they are sympathetic figures. But the reality is the owner does not want to spend money to pay the luxury tax. They want to line their pockets with the monies in terms of profits and also want to fool you into thinking the teams are still as good as they were. They present all the information, but in the presentation they fool many. The presentation by the NBA shows us year after year that small market teams are really not at a disadvantage at all. Players will play where they can get a chance to compete and win. But it is up to the owners and the teams to create that marketability to make that happen. Marketing is not something that just happens when you go to a big city. With the internet as big as it is these days, you don’t have to be in a big market to even succeed. The biggest examples of that are Kevin Durant and LeBron James. Both have been in small markets and have thrived when it comes to off the court endorsements and things of that nature. So, when a team is losing or has to lose an impact player because of they don’t want to pay them, quit letting the small market teams off the hook because they don’t want to pay. When a team is not competing year after year, stop letting them off the hook because of the small market they may play in. Take the finger-pointing and aim it at the owners and the front office for making poor decisions to make the team competitive and for not wanting to pay. The decision falls on them and them only. They did not want to pay or build a good team. They did not want to satisfy their fans and instead wanted to line their pockets. The excuse of being in a small market is just that: an excuse. Cleveland just proved that it is an excuse, San Antonio has been proving that it is an excuse for small market teams for years.